Which Keyboard Is Best For Your Church? Every church needs to have music for Sunday morning worship, as well as other events and concerts during the week, but churches who don’t have an organ or a piano may feel like their options are limited. Buying a great keyboard is a wonderful way to make sure that every church enjoys the music that they deserve, but choosing the right one can be really tricky. Keyboards are a wonderful way to add music to services and are generally smaller and less expensive than an acoustic piano or an organ, which is why they are such a popular option for many churches. No matter if you are looking for the best bang for your buck, the overall best keyboard for churches, or the best budget option, this guide will help you choose the right keyboard for you. 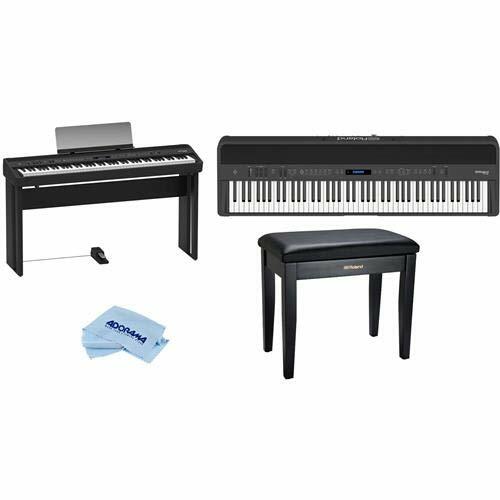 By understanding the pros and cons of each keyboard, as well as what to look for when shopping, you can easily make sure that you choose the right instrument for you, no matter if it is the Roland FP-90, the Kawai MP11, or the Yamaha P-125. What Are the Important Considerations When Buying This Keyboard? Shopping for a high-quality keyboard is a lot of fun, but can be stressful if you don’t really know what you’re looking for. It’s important to keep the following considerations in mind before you make a purchase. Action – this refers to how the keys will respond when they are played. Every keyboard will have a slightly different action, depending on what you are looking for. Weighted keys will feel more like a traditional piano and are generally a high-quality option. 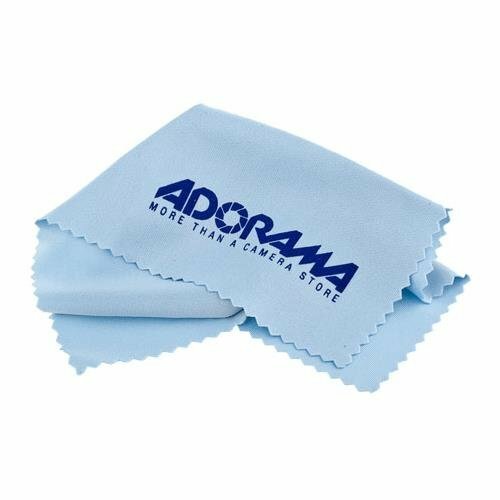 Recording Options – any musician or church band who wants to be able to record their music needs to consider the recording options on their new keyboard. MIDI Compatibility – this feature is really important for any musician who wants to be able to interface with their computer. It allows the computer and the keyboard to talk to each other, which is great for advanced recording and editing of music. Keyboard Size – the best keyboards are going to have 88 keys. 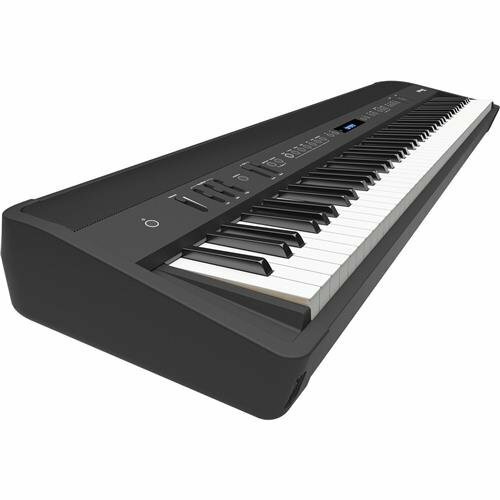 This is a full-size keyboard that allows for impressive musical performances and will be able to be used for playing any type of music easily, no matter its range. It’s easy to see why the Kawai MP11 is the best overall keyboard on this list. It offers hands down, the best keyboard action out of any keyboard on the market today. This means that musicians who are used to playing on an acoustic piano and demand the same response and reaction from their keyboard won’t be disappointed. All of the keys are made from long pieces of real wood and designed to pivot on a central pin in a smooth and seesawing motion. This results in an impressive response that feels just like playing on a traditional Kawai grand piano. Additionally, every key has a three sensor system included in its design. This means that not only does it sound perfect when the keys are pressed, but also when they are let-of. While this is a subtle sensation, it brings a lot of feeling to the music. Finally, the sound of the Kawai MP11 is outstanding. There are three sound engines dedicated for each type of sound, resulting in a seamless sound that is unique and much more powerful than any other keyboard on the market today. Every keyboard has its own set of pros and cons, but the pros of the Kawai MP11 definitely outweigh the cons. First, the keys on this keyboard are some of the best in the world and designed to perfectly mimic the playing response of a traditional piano. Additionally, this keyboard features a Virtual Technician that allows for the sound of the keyboard to be quickly adjusted or shaped using knobs or buttons. Another pro of the Kawai MP11 is that it ships with a full pedal assembly that all have a graded action. This means that churches won’t have to buy this at a later time and makes the keyboard that much more responsive. Finally, this keyboard features 129 different effects, as well as reverbs, that can be used to adjust and customize sound and tone. One drawback of the Kawai MP11 is that the interface is a little difficult to use due to the size of the buttons and the screen making it hard for users to see what they are doing. Additionally, the mod and pitch wheels are located in the upper top corner, which can make it awkward to control them while playing. When you’re looking for a keyboard that will offer you great bang for your buck, then you will want to make sure to take a few certain things into consideration. Included Accessories – the included accessories will play a huge role in how happy you are with your new keyboard and how well it meets your needs. Not only will you want a durable and powerful keyboard that is easy to use, but you should look for one with a stand and piano bench, as well. Keyboard Quality – great keyboards will have sensitive keys that respond quickly and easily to the person playing. Additionally, you need to think about the number of keys that a keyboard has and what type of feel they have. Pedal Options – one thing that will help to set apart a great keyboard player from other musicians is how well they can use their pedal. By opting for a keyboard that has a pedal, you won’t have to worry about buying one at a later time. While this may seem like a small accessory, it can make a huge difference in the overall sound quality of the music being played. There really is a lot to love about the Roland FP-90. To start, the sleek cabinet of this keyboard is not only impressive but also durable and able to withstand being moved around without showing any signs of damage. This is great for churches who need to regularly move the Roland FP-90 from one location to another. Additionally, it comes loaded with hundreds of sounds. 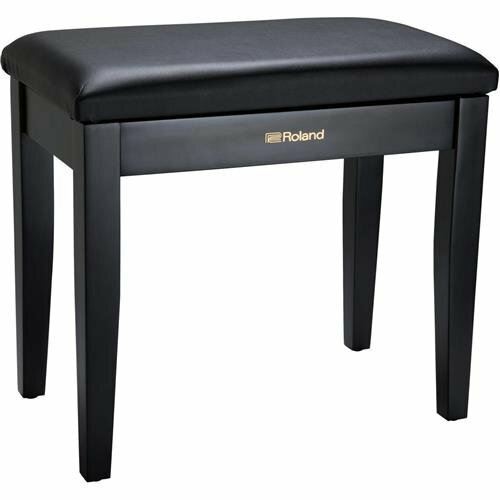 This means that musicians don’t just have to play normal piano sounds, although that is an option, and the Roland FP-90 offers great piano tones, but also have a wide selection of sounds to choose from. 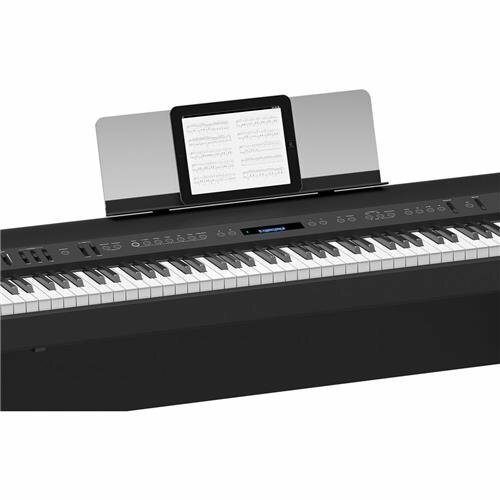 Thanks to the Bluetooth connectivity, users can easily stream audio from their computer, tablet, or phone directly to this keyboard. This makes it really easy for a church band to practice a certain song and to work on difficult parts of a song for the best results. Finally, the Roland FP-90 relies on amazing progressive hammer action when playing. Any musician, no matter what type of instrument they have played, will enjoy the response, resistance, and balance that comes from playing this keyboard. Every keyboard is going to have its own set of pros and cons, and the Roland FP-90 is no exception. One of the best features of this keyboard is that it ships with a high-quality bench, stand, and pedal, which means that users won’t have to invest in them later. Additionally, this keyboard includes limitless polyphony, which is especially impressive given the overall price of the keyboard. With Bluetooth and MIDI support, users can easily connect this keyboard to their computer for fast and reliable editing. Finally, another pro of the Roland FP-90 is that it has an authentic grand piano feel. The progressive hammer action design of this keyboard is advanced, durable, and feels great during play. One drawback to this keyboard is that the internal speakers aren’t very high quality and tend to sound muffled and synthetic. The best course of action is to upgrade the speakers or use external ones. Additionally, the Roland FP-90 apps aren’t always easy to connect to, which can be frustrating for musicians who want to be able to edit their sound and create their own custom music. It can be stressful to shop for a budget keyboard. Not only do you want to make sure that you don’t overspend, but you also must make sure that the keyboard sounds great. Budget – the most obvious consideration here is how much money you have to spend on a new keyboard. It’s best to set a budget that you can easily afford so that you can then search for a keyboard that isn’t going to break the bank. Key Quality – just because you are opting for a budget keyboard doesn’t mean it has to be low Look for keys that have weighted GHS action so they feel real and that are designed to absorb moisture so that they won’t get slippery with regular use. Connectivity – every great keyboard should connect to your computer so that you can edit and upload sounds. When looking for a budget keyboard, you still need to make sure that it will easily connect to your computer. Portability – some keyboards are incredibly heavy or bulky, which means that they can’t be easily moved out of the way. Consider the weight and size of a keyboard to ensure that you can easily move it when it’s not in use. 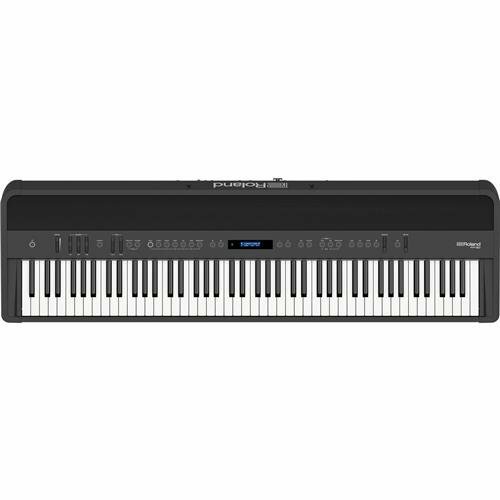 The Yamaha P-125 is the best budget keyboard on this list, but that doesn’t mean that it’s not loaded with impressive features. 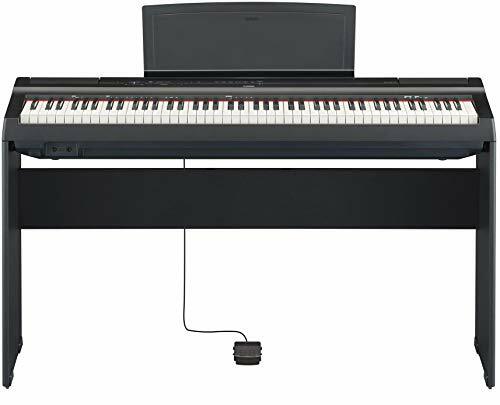 One of the most amazing features of the Yamaha P-125 is that it has a fully weighted keybed that provides a varying response when playing, which is a feature that you may not expect from a budget keyboard. Additionally, this keyboard has a fully integrated stereo sound system. You can easily adjust your volume settings thanks to the Intelligent Acoustic Control, resulting in an incredible tone that doesn’t require you to continually tweak it during performance or practice. The Stereophonic Optimizer ensures that you enjoy incredible sound when playing with headphones. This adjusts the sound’s spatial distribution to create a realistic tone that will make you forget that you’re wearing headphones. Finally, this keyboard comes as part of a kit, which is why it’s perfect for any church looking for a keyboard. 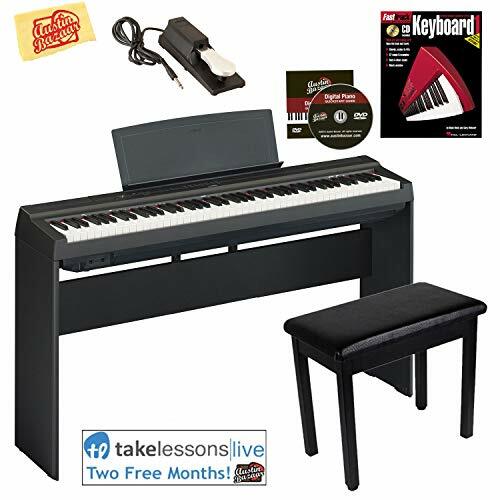 Not only will you enjoy the Yamaha P-125 keyboard itself, but also a bench, stand, sustain pedal, and even book, DVD, and free online lessons to help you get started making the best music possible. There are some pros and cons to consider when you’re looking to buy the Yamaha P-125. One thing that you’ll love is that this keyboard offers split mode, which makes it possible to play different voices with your two hands. Another pro of this keyboard is that it only weighs 26 pounds, making it highly portable. This is perfect for taking it from the church practice room to the sanctuary on Sunday morning. 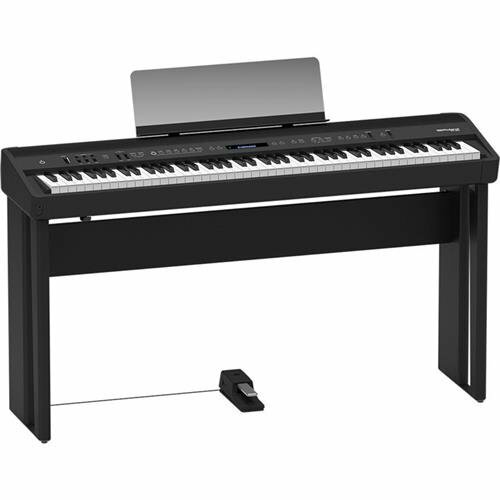 Additionally, the Yamaha P-125 features MIDI and USB connectivity. This makes it easy to transfer your music to your computer and music software so that you can easily edit and adjust sounds. Finally, this keyboard features Damper Resonance DSP that does a great job recreating the sounds of a grand piano. This means that every church who invests in this keyboard can enjoy traditional grand piano sounds at a fraction of the price. One drawback of the Yamaha P-125 is that some of the keys may loosen up when they are played repeatedly. This can lower the playing experience. Another con of this keyboard is that it does tend to suffer from louder key noise. While key noise is common with all keyboards, it can be a problem with the Yamaha P-125. If you are looking for the best bang for your buck, then you will definitely want to consider the Roland FP-90. This is a great keyboard that offers incredible sound and control, and since it ships with everything that you need to get started, it’s perfect for any church who is looking for a keyboard. Additionally, it features incredible keyboard control and plenty of sounds to choose from. 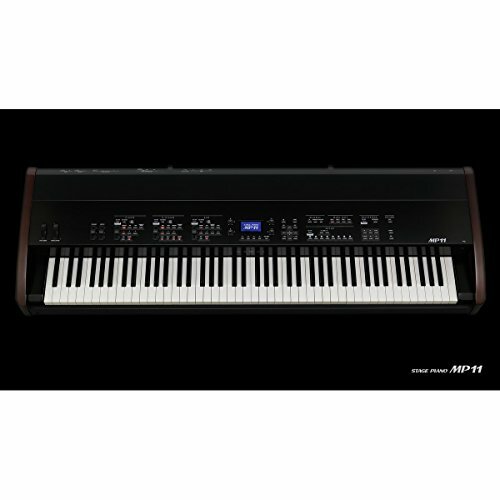 The best overall keyboard on this list is clearly the Kawai MP11. While it is more expensive than the other options, you can’t argue with the attention to detail and its high-quality construction. Not only can users choose from amazing voices when playing this keyboard, but they can also customize almost every element of this instrument for the best possible sound control. Finally, the best budget keyboard is the Yamaha P-125. Because it ships with all of the equipment that you need to get started, including free online lessons, it’s easy to see how this keyboard will benefit any new church. 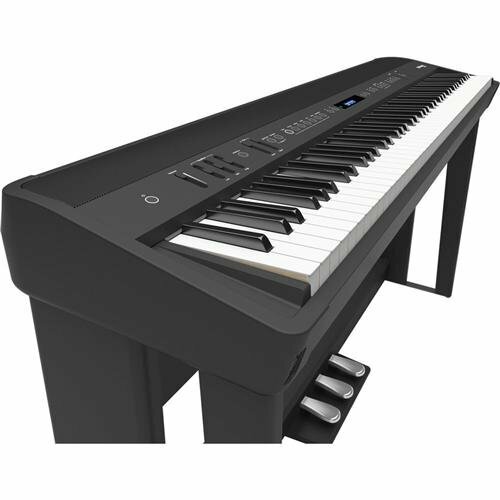 Although the keys aren’t as high quality as the ones on the Kawai MP11, they still offer great playability and an impressive tone that is great for use in any church service.